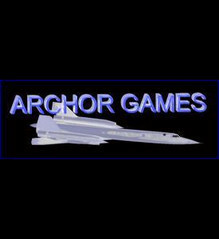 All of Archor Games’s titles available through the Xbox Live Creators Program were delisted between October 27th and November 3rd, 2017. These titles were available on PC and Xbox One and were published under the Microsoft Developer Network profile ECHS BACHS. Many of them were previously available on Xbox 360 as Xbox Live Indie Games before that marketplace was shut down on October 7th, 2017. The Creators Program versions were presumably delisted due to their use of licensed assets. Granny Theft Auto used MIDI versions of the songs “Downtown” and “Uptown Funk” while others incorporated satellite maps data from Miami, Paris, and other locations. ECHS BACHS has also come under fire on the XNA forums in the past for shady practices and accusations of plagiarism within Project Spark. It’s possible their current titles were delisted thanks to stricter rules within the Xbox Live Creators Program. Granny Theft Auto received the most attention due to its title as well as being on sale for as little as $0.04 at the time of release. ECHS BACHS’s YouTube channel contains several clips, trailers, and Liked videos of their games. All of the titles below were delisted by November 3rd, 2017. Google’s cached versions of their Microsoft.com store pages are provided where available. Thanks to Tymek for submitting this information to the site.